Like it or not, there’s no escaping it – we live in the digital age. And one of the surest signs of this is that those of us who own and use smartphones daily can browse, buy, book and communicate about products, services, offers and deals from all manner of businesses and organisations. One example of which is the capacity to use our ultra-modern mobiles to reserve rooms at hotels wherever they may be in the world – and, indeed, wherever in the world we may be when we want to make the booking. This is, of course, because our smartphone devices are becoming ever smarter in how they can connect to hotels online and because downloadable apps, which can be used to fulfil a variety of services via a handheld device, are fast becoming smarter and smarter. Indeed, leading the pack in this drive for improved service from hotels is The Montcalm App. Why? Because this downloadable digital offering from the London-based Montcalm Hotel Group is a luxury hotel app with a difference. The Montcalm accommodation group comprises properties spread right across the centre of the UK capital – ranging from Marble Arch in the west to Shoreditch in the east – each of which offers a unique mixture of elegance, via its stylish exteriors and interiors, and modern comfort, thanks to its rooms appointed with all the latest fixtures today’s weary travellers desire and demand. And matching each hotel’s unflagging commitment to delivering unparalleled service to its guests, The Montcalm App is a full-service solution at your fingertips for reserving a room in each of the properties. How so? Well, not only does our app enable you to seek out details and imagery on every room available (as well as each hotel’s dining and other amenities and features) and then book the room of your choice, it also enables you to view and edit your booking after you’ve made it – and even, if you desire or need to, cancel the booking. 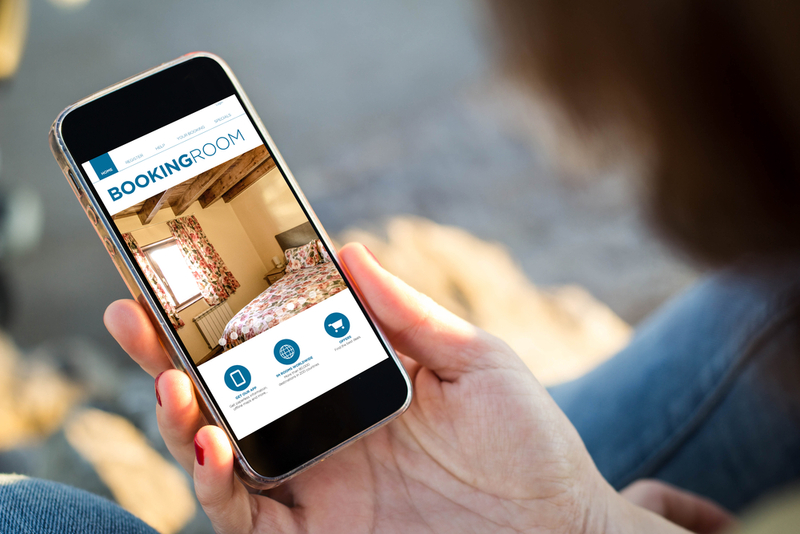 We don’t use the term ‘full-service solution’ here lightly; using our app to reserve one of our rooms is as reliable, secure and flexible a process as making a booking via our website or by phone. Additionally, via the app, guests-to-be can discover and familiarise themselves with the current packages each of the Montcalm hotels are running. Among the very best hotel deals in London, these offers give visitors a fantastic opportunity to save money on their bookings and often tailor their stay according to their trip’s inspiration – whether it’s a romantic getaway for two, a family celebration, a work-based trip or a seasonal-themed short-break. Moreover, the Montcalm App includes, in addition to the amenities of each hotel, a selection of the features and attractions in its immediate area. This then further helps guests, as they’re readying themselves to make a reservation, to decide on which of the Montcalm properties will best suit them and their stay in the UK capital. So, why not download The Montcalm App today? It’s completely free available from the iOS and Google App stores.